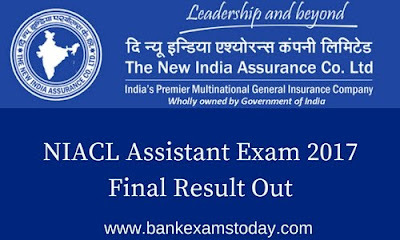 New India Assurance Company Limited (NIACL) has released a notification of the final list of the candidates who have been selected for the Pre-Medical Test. BankExamsToday congratulates all the aspirants who have succeeded in attaining a position in the list. The list is released state-wise and the link is given below. The link to reprint the Application Form has also been given by NIACL. Change of venue for Pre-Employment Medical Examination will not be entertained under any circumstances. The Tentative date of joining the Company will be 07th August 2017.